... even pitiful frail little thought bubbles exhaled over a plate of BBQ. ​A rare treat indeed, for my hubby and I to be sitting across the table from each other mid-week, holding hands while praying and preparing to share a meal together. Our schedules just do not allow for this every-day, boring, taken for granted activity. Our weekly time together is typically spent on the phone, as it was earlier in the day, but God rearranged our schedules for some face time, MUCH needed face time. Our phone conversation just a couple of hours earlier had been filled with a lot of “I don’t know what to do’s”, “decisions need to be made”, “we could do this… or this… or this…”, you get the picture. Not an uncommon conversation between a husband and wife, but unusual for us because all the indecisive statements inflected with worry were coming from me…. ME … the non-worrier of the family! Yes, it’s true, I am generally a non-worrier and I can only give credit to God for wiring me in such a way. I know some who deal with the anxiety of worry almost constantly (even in my own family), but not me. But even without an utterance on my part, God saw my need and met my need… face time with my husband. is hold my husband’s hand and listen to him pray over us and over our family. of my great-grandmother… calming, soothing, emotional warmth. ​But even with face time with the hubby, holding his hand while he prayed, and a plate full of soul food for this Texas girl, the worry filled conversation which had begun hours earlier continued. I talked and I worried and he listened and tried to offer solutions. Finally I just sat back, took a deep breath and whispered in my heart “God, I just don’t know what to do”. That was it, no resounding monologue, no great oracle to go down in the history books of prayer, just a loose frail pitiful thought bubble exhaled from my troubled heart. even when they are just a thought bubble over a plate of BBQ. ​This is part of the wonderfulness of having a relationship with God - the lines of communication are always open. An on-going conversation with God is just like that on-going conversation with my husband. It may begin and end but then gets picked back up right where we left off. A relationship with God includes constant communication and constant availability for conversation. But conversations go both ways. I can speak and God listens, but it also involves God speaking and me listening. And so just like with my husband, a relationship with God also includes constantly listening, and being able to recognize His voice over the others. And yes, God did indeed respond to my thought bubble, He answered my prayer and spoke to me right there in the middle of that BBQ joint! He actually responded in 3 big ways. He calmed my fears, the worry disappated. He gave me an answer – He reminded me of an organization I began an affiliation with several months ago. They could answer my questions. I mentioned this to my hubby as we were sitting there and even stated that I would consult their webpage when I returned home, as I had not seen an email from them in a while. God sent the resource to me! When I returned home and opened up my laptop, there was an email waiting for me from this organization and in it I was provided with two things: an immediate resource to answer some of my questions and an invitation to a full day of learning about the steps I needed to take to achieve my goal. ​WOW. But don’t count those goose-bumps yet (or as a friend says “God-bumps”). The time stamp on that email was not from earlier in the day, it was not something I had just overlooked – I had been on the computer right up to leaving to meet the hubby for lunch. No the timestamp on that email was just an hour earlier, right in the middle of that conversation over lunch and right when that loose frail pitiful thought bubble floated away from my heart. He was listening, God was listening, and He answered me, and He provided a resource to answer my questions. Soul Friends, what an incredible gift from God we have been given in prayer! He is God - the almighty creator of the universe and HE wants to be in constant communication with you and me! Oh friends, don’t be intimidated by the word ‘prayer’, don’t doubt, don’t listen to the lies of Satan, YOU are so precious to God and He wants to have that personal, one-on-one relationship with YOU. Don’t worry if you don’t know what to say, what words to use, God knows your heart He knows what you need at every moment of every day, all you have to do is start the conversation even if it's just a thought bubble “God, I don’t know what to do.” He does know and He will answer. ​Oh Lord, we thank you for this wonderful gift of prayer, of conversation with You. Lord, we are so unworthy, and yet so grateful that you see us as precious children and desire to have a relationship with each and every one of us. 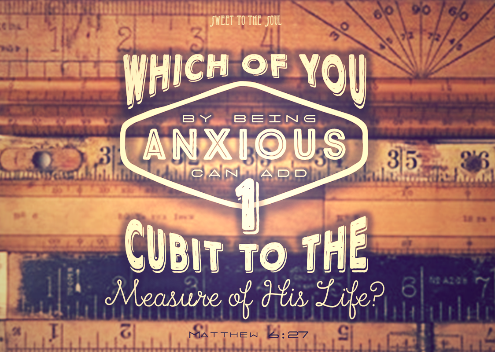 Create in me, Heavenly Father, the desire to meet with you, to sit at your feet and converse with you, to present to you my anxieties, worries and needs knowing that You alone can calm these fears. Lord, open the eyes of my heart to see the wonders of your hand, your mighty works, and all the blessings only You can provide. Lord, create in me a thankful heart, and the desire to return these blessings also to You, Father, in pure gratitude. May You alone receive the glory, Father, I pray that through this prayer relationship with You that my countenance be changed, that my outward appearance and presence reflect more of You Lord and less of me. In your precious sons name we ask, AMEN. This post is part of a series with Author and Proverbs 31 Speaker, Suzanne Eller for Live Free Thursday. On Thursdays, Suzie invites bloggers to write about a particular prompt and join her in encouraging women across the globe to #livefree through God. Come join us! Jana Kennedy-Spicer is a blogger, graphic artist, Bible teacher and speaker passionate about inspiring and encouraging women on their daily walk with Christ. Jana, Your post was beautiful and inspiring. I want to strive to be more like you and not worry. Thank you for your words of encouragement. I will be reading more of your posts in the future. You described me as well-I'm not a worrier. However I'm currently in between places I guess you could say. I'm desperately in need of a job and going through extreme financial difficulties. Through this season in our lives my husband & I are learning to trust God & be content daily as He provides for our needs. Thank you for sharing this. It touched my heart deeply. Love those God-bump moments! Thanks for sharing, Jana! Jana, I love reading about God's perfect timing in your life! #livefree - have a great day! Beautifully written. This touched my heart as I read it. God used your words to encourage me. I needed to hear it.